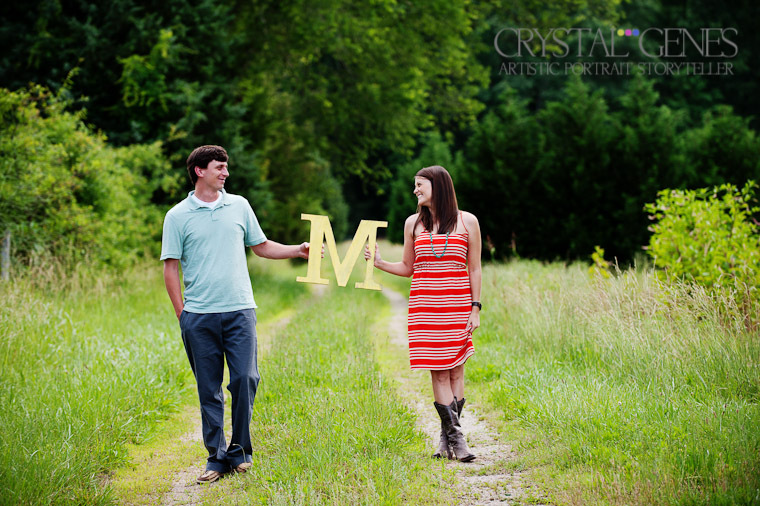 Many couples take advantage of the natural beauty on our farm for their casual photo session. Pictures from these sessions are great for “save the date” cards and for reception decorations. Take a look at this wonderful couple all around our farm and then see how they displayed some of their pictures on the tent at their reception.